S. K. Kelen grew up and was educated in Sydney but has lived and worked in Canberra since 1990. His poems have been published widely in Australia and abroad since the early 1970s. He has travelled widely and written many poems in and about East Asia and the Pacific as well as from the country of the mind. Kelen enjoys travelling and hanging around the house, philosophically. 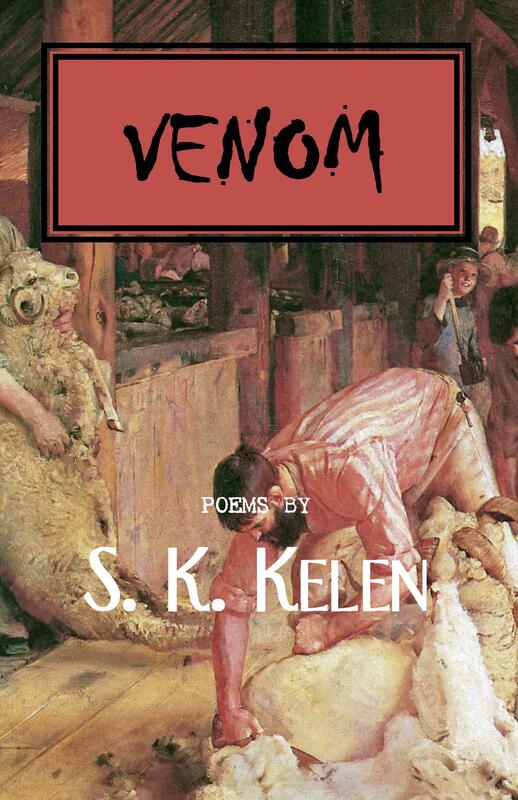 Venom ($15 – Click to Purchase, ISBN: 978-1456566418, LCCN: 2011922232, 5.06X7.81″, 90pp): is Kelen’s most recent book and includes poems that range in subject matter from domestic surrealities like gardening and parenting, memory, dreams, travel, art, life, love, politics and some animals and other creatures: imparted with this poet’s verve, wit and warmth—with a dash of venom.